﻿﻿It is unclear when this picture was taken. The title on the Library of Congress photo states, "The Temple area. Western wall of Temple area. 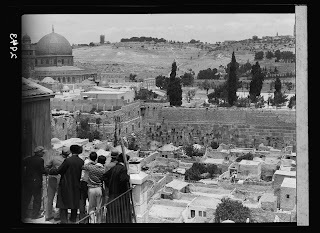 Distant view of so-called Wailing Wall." The date on the picture is "between 1920 and 1933." 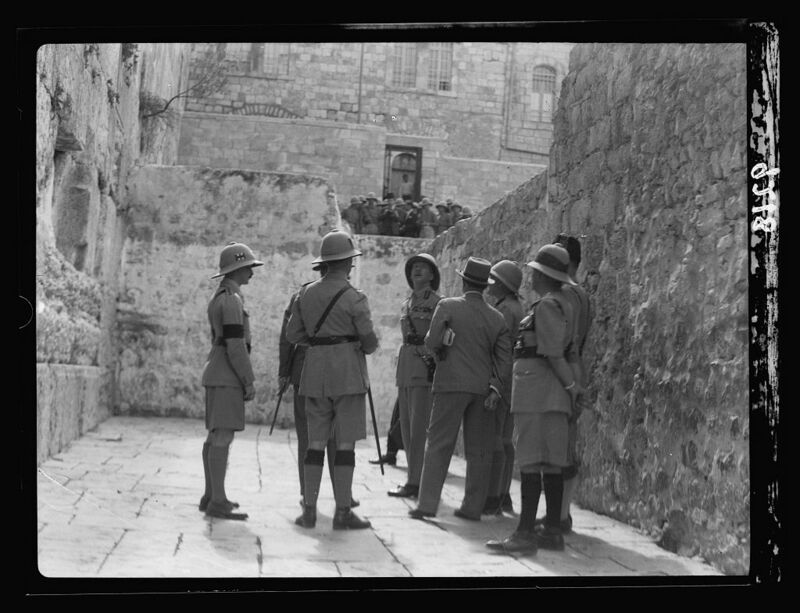 Is it possible that the Jews in the picture couldn't get to the Western Wall? And to go would mean risking their lives? If that's the case then this picture was probably taken in 1929 or 1936. 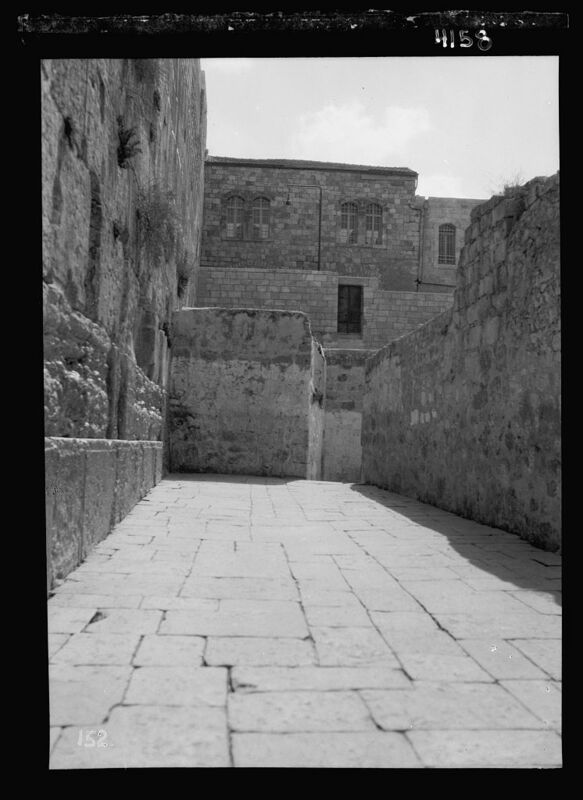 In those years Arab attackers killed and wounded scores of Jews, and to go to the Kotel was to risk life and limb. * the street could be the end of Sultan Suleiman Street today, the eastern part, prior to Herod's Gate. 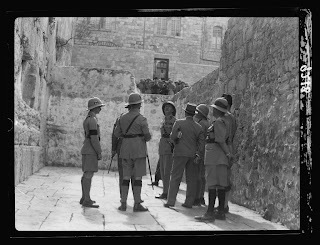 In October 1936, there was Martial law for a period and over one Shabbat and no one could get to the Kotel except for one group of 10 for a short visit led by Eri Jabotinsky and members of the Plugat HaKotel unit of Bedtar excorted by police.